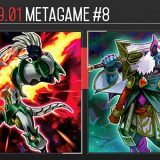 SPYRAL has completely taken over the OCG 2017.10 metagame. Their consistency in setting up a near unbreakable board would often win them the game outright on their opening turn, especially if the opponent has no disruption to stop their combos. 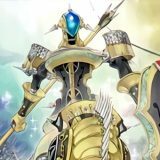 This article will showcase four 2-card combos that are core for SPYRAL. Due to the New Master Rule and the mechanics of Link Arrows, the placements of monsters in the correct Monster Zones will be crucial when executing the combos. Extra Monster Zones will be called the Left Extra Monster Zone and the Right Extra Monster Zone. The Main Monster Zones on the extreme left will be called the 1st Main Monster Zone, the Main Monster Zone next to it will be called the 2nd Main Monster Zone, and so on and so forth. Normal Summon SPYRAL Quik-Fix in the 4th Main Monster Zone. Activate Machine Duplication targeting SPYRAL Quik-Fix, Special Summon 2 SPYRAL Quik-Fix from the deck. When both SPYRAL Quik-Fixs are successfully summoned, trigger both of their effects, forming a Chain. Chain 2: Resolve the effect of SPYRAL Quik-Fix, add SPYRAL GEAR – Drone from deck to hand. 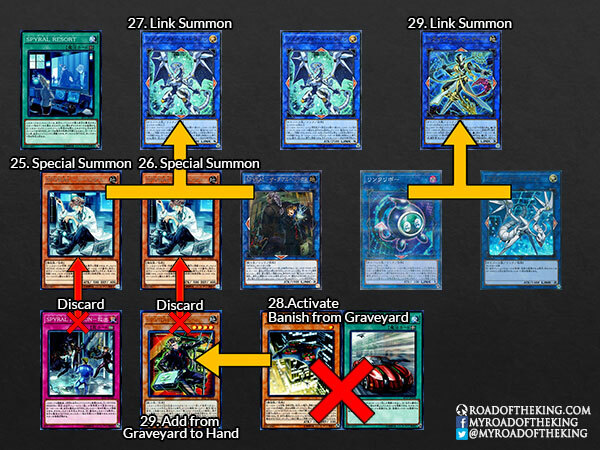 Chain 1: Resolve the effect of SPYRAL Quik-Fix, add SPYRAL GEAR – Drone from deck to hand. Using SPYRAL Quik-Fix + SPYRAL Quik-Fix (the 2 that were Special Summoned), Link Summon SPYRAL Double Helix in the Left Extra Monster Zone. Using SPYRAL Quik-Fix + SPYRAL Quik-Fix (the 2 that were Special Summoned), Xyz Summon Lyrilusc – Recital Starling in the 2nd Main Monster Zone (below SPYRAL Double Helix). Activate the effect of Lyrilusc – Recital Starling, detach 1 Xyz Material, and add D.D. Crow from deck to hand. Activate the effect of SPYRAL Quik-Fix in the graveyard, discard SPYRAL GEAR – Last Resort, and revive itself. 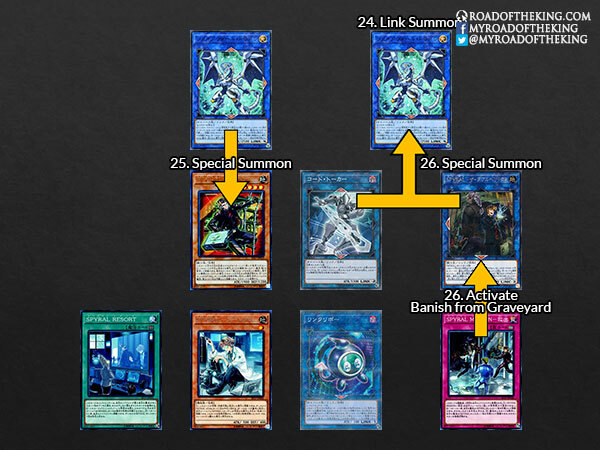 Using the Special Summoned SPYRAL Quik-Fix + SPYRAL Double Helix + Lyrilusc – Recital Starling, Link Summon Firewall Dragon in the Right Extra Monster Zone. 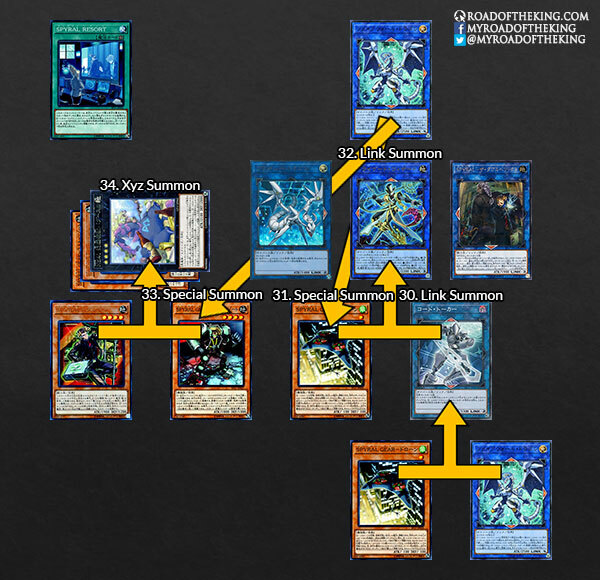 Using SPYRAL Quik-Fix, Link Summon Linkuriboh in the 4th Main Monster Zone (below Firewall Dragon). As SPYRAL Quik-Fix that Firewall Dragon was pointing to was sent to the graveyard, trigger the effect of Firewall Dragon, and Special Summon SPYRAL GEAR – Drone from hand. Activate SPYRAL GEAR – Big Red, revive SPYRAL Double Helix in the 3rd Main Monster Zone (left of Linkuriboh). Using SPYRAL Master Plan + SPYRAL GEAR – Drone, Link Summon Proxy Dragon in the 2nd Main Monster Zone (left of SPYRAL Double Helix). 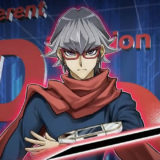 Play and activate SPYRAL Resort, add SPYRAL Super Agent from deck to hand. Activate the effect of SPYRAL Quik-Fix in the graveyard, discard SPYRAL Super Agent, and revive itself. 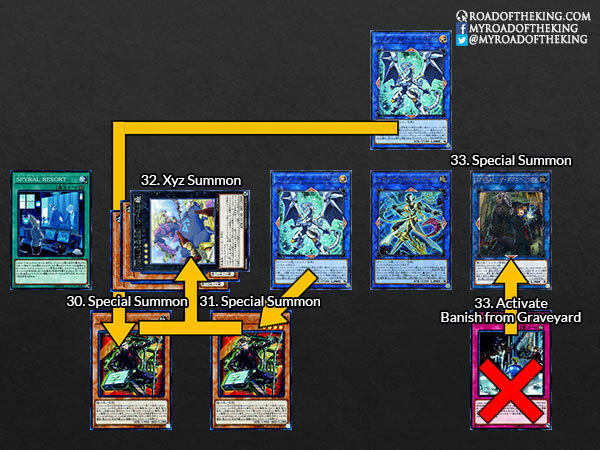 Using SPYRAL Quik-Fix + SPYRAL Quik-Fix + SPYRAL Double Helix, Link Summon Firewall Dragon in the 3rd Main Monster Zone (between Proxy Dragon and Link Kuriboh). Using Linkuriboh + Proxy Dragon, Link Summon Tri-Gate Wizard in the 4th Main Monster Zone (below Firewall Dragon and right of Firewall Dragon). As Linkuriboh that both Firewall Dragons were pointing to was sent to the graveyard, trigger the effect of both Firewall Dragons, forming a Chain. 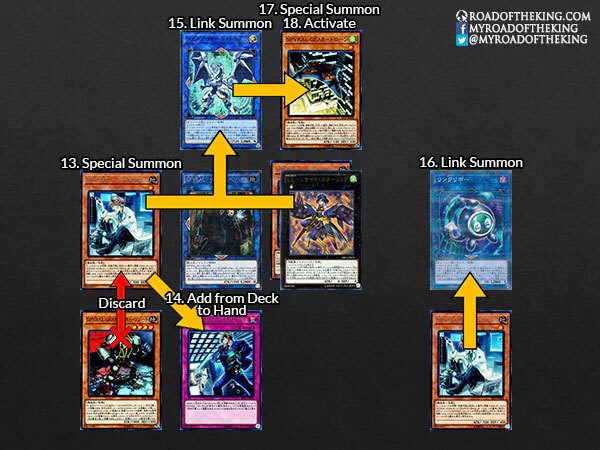 Chain 1: Resolve the effect of Firewall Dragon, Special Summon SPYRAL Super Agent from hand. Using SPYRAL Super Agent + SPYRAL Super Agent, Xyz Summon Number 41: Bagooska the Terribly Tired Tapir in Defense Position in the 2nd Main Monster Zone (left of Firewall Dragon). 2 Firewall Dragons co-linked to 1 monster each to bounce 1 opponent’s monster or add 1 card from graveyard to hand. Normal Summon SPYRAL GEAR – Drone in the 4th Main Monster Zone. 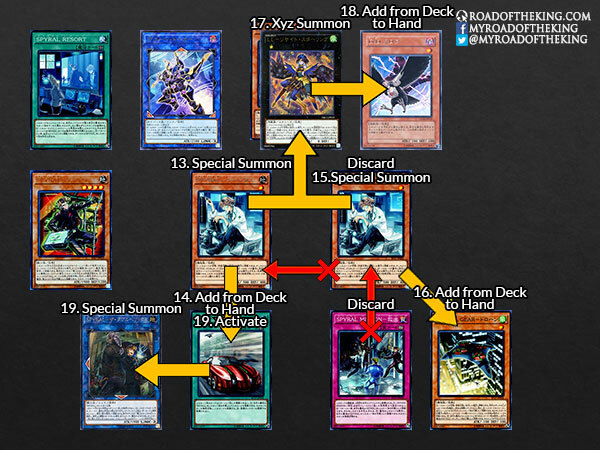 Activate Machine Duplication targeting SPYRAL GEAR – Drone, Special Summon 2 SPYRAL GEAR – Drone from the deck. 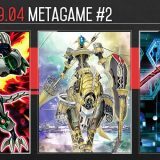 When both SPYRAL GEAR – Drones are successfully summoned, trigger their effects to look and reorder the top 3 cards of the opponent’s deck. 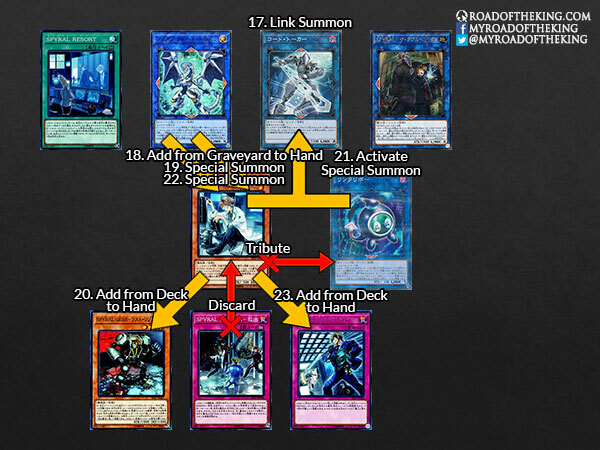 Using SPYRAL GEAR – Drone + SPYRAL GEAR – Drone (the 2 that were Special Summoned), Link Summon SPYRAL Double Helix in the Left Extra Monster Zone. Using SPYRAL Master Plan + SPYRAL Double Helix, Link Summon Decode Talker in the Right Extra Monster Zone. Activate the effect of SPYRAL Super Agent in hand, Special Summon itself. Using SPYRAL Super Agent + Decode Talker, Link Summon Firewall Dragon in the Right Extra Monster Zone. As SPYRAL GEAR – Drone that Firewall Dragon was pointing to was sent to the graveyard, trigger the effect of Firewall Dragon, and Special Summon SPYRAL Quik-Fix from hand. 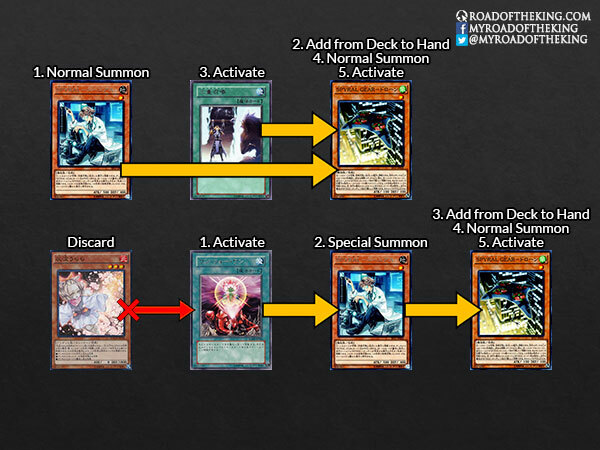 Activate SPYRAL GEAR – Big Red, revive SPYRAL Double Helix in the 5th Main Monster Zone (right of Linkuriboh). 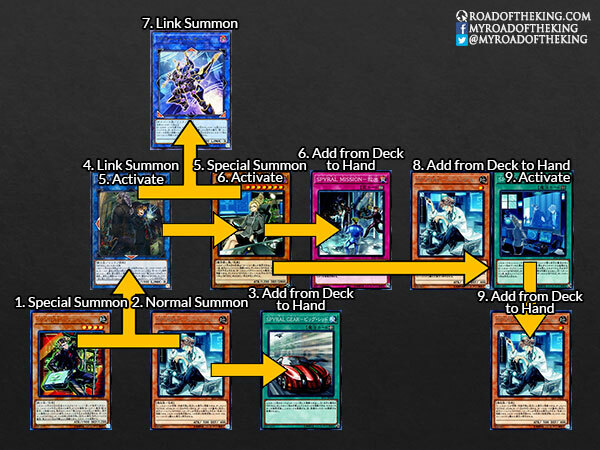 Using SPYRAL Quik-Fix + Linkuriboh, Link Summon Code Talker in the 4th Main Monster Zone (below Firewall Dragon). As Linkuriboh that Firewall Dragon was pointing to was sent to the graveyard, trigger the (2)nd effect of Firewall Dragon, and then Chain with the (1)st effect of Firewall Dragon, targeting SPYRAL Quik-Fix. 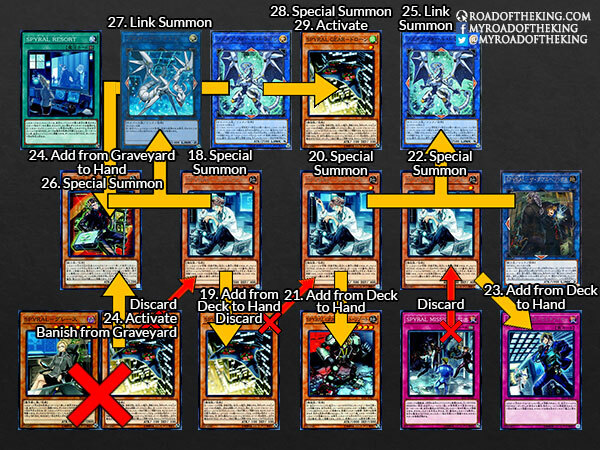 Chain 1: Resolve the (2)nd effect of Firewall Dragon, Special Summon SPYRAL Quik-Fix from hand. 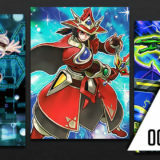 Activate the effect of Linkuriboh in the graveyard, tribute SPYRAL Quik-Fix, and revive itself in the 3rd Main Monster Zone (left of Code Talker). Using Code Talker + SPYRAL Double Helix, Link Summon Firewall Dragon in the 4th Main Monster Zone (below Firewall Dragon). As Code Talker that Firewall Dragon was pointing to was sent to the graveyard, trigger the effect of Firewall Dragon to Special Summon SPYRAL Super Agent from hand in the 1st Main Monster Zone. Activate the effect of SPYRAL MISSION – Rescue in the graveyard, banish itself, and revive SPYRAL Double Helix in the 5th Main Monster Zone (right of Firewall Dragon). Using SPYRAL Quik-Fix + Linkuriboh, Link Summon Proxy Dragon in the 3rd Main Monster Zone (left of Firewall Dragon). As Linkuriboh that Firewall Dragon was pointing to was sent to the graveyard, trigger the (2)nd effect of Firewall Dragon, and then Chain with the (1)st effect of Firewall Dragon, targeting SPYRAL GEAR – Drone, SPYRAL GEAR – Drone and Code Talker. Chain 2: Resolve the (1)st effect of Firewall Dragon, add SPYRAL GEAR – Drone, SPYRAL GEAR – Drone and Code Talker from graveyard to hand. 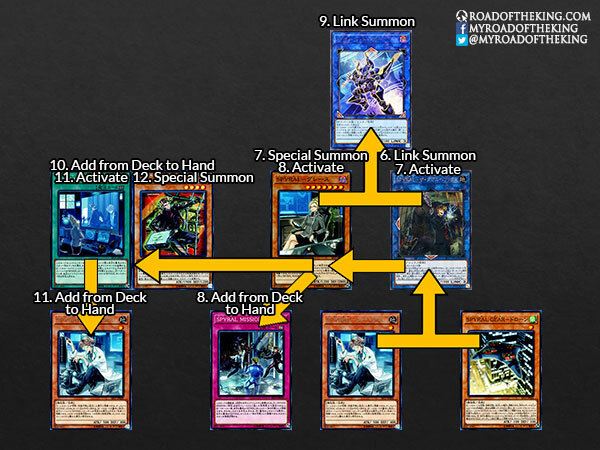 Chain 1: Resolve the (2)nd effect of Firewall Dragon, Special Summon SPYRAL GEAR – Drone from hand. Using SPYRAL GEAR – Drone + Firewall Dragon (that is in the 4th Main Monster Zone), Link Summon Code Talker in the 4th Main Monster Zone (below Firewall Dragon). As Firewall Dragon that Firewall Dragon was pointing to was sent to the graveyard, trigger the effect of Firewall Dragon to Special Summon SPYRAL GEAR – Drone from hand. 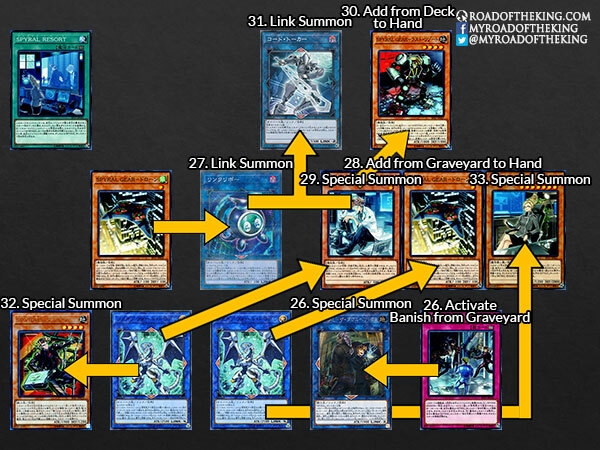 Using SPYRAL GEAR – Drone + Code Talker, Link Summon Tri-Gate Wizard in the 4th Main Monster Zone (below Firewall Dragon). 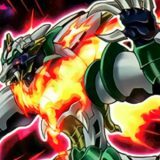 As Code Talker that Firewall Dragon was pointing to was sent to the graveyard, trigger the effect of Firewall Dragon to Special Summon SPYRAL GEAR – Last Resort from hand. Using SPYRAL Super Agent + SPYRAL GEAR – Last Resort, Xyz Summon Number 41: Bagooska the Terribly Tired Tapir in Defense Position in the 2nd Main Monster Zone (left of Proxy Dragon). Firewall Dragon had used up its (1)st effect. When SPYRAL Quik-Fix is successfully summoned, trigger its effects to add SPYRAL GEAR – Drone from deck to hand. Normal Summon SPYRAL GEAR – Drone. When SPYRAL GEAR – Drone is successfully summoned, trigger its effects to look and reorder the top 3 cards of the opponent’s deck. Activate One for One, discarding the 1 Monster Card in hand for the activation cost. 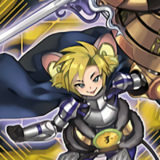 Special Summon SPYRAL Quik-Fix from the deck. 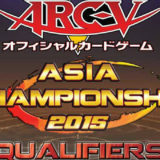 Using SPYRAL Quik-Fix + SPYRAL GEAR – Drone, Link Summon SPYRAL Double Helix). 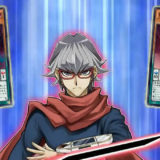 Activate the effect of SPYRAL Super Agent in hand, Special Summon itself in the 2nd Main Monster Zone. Using SPYRAL Quik-Fix + SPYRAL Quik-Fix, Xyz Summon Lyrilusc – Recital Starling in the 3rd Main Monster Zone (left of SPYRAL Super Agent). Activate SPYRAL GEAR – Big Red, revive SPYRAL Double Helix in the 4th Main Monster Zone (below Decode Talker). Using Decode Talker + Lyrilusc – Recital Starling, Link Summon Firewall Dragon in the 3rd Main Monster Zone (left of SPYRAL Double Helix). Using SPYRAL Super Agent + SPYRAL Quik-Fix + SPYRAL Double Helix, Link Summon Firewall Dragon in the 4th Main Monster Zone (right of Firewall Dragon). As SPYRAL Super Agent that Firewall Dragon was pointing to was sent to the graveyard, trigger the effect of Firewall Dragon to Special Summon SPYRAL GEAR – Drone from hand in the 2nd Main Monster Zone (left of Firewall Dragon). 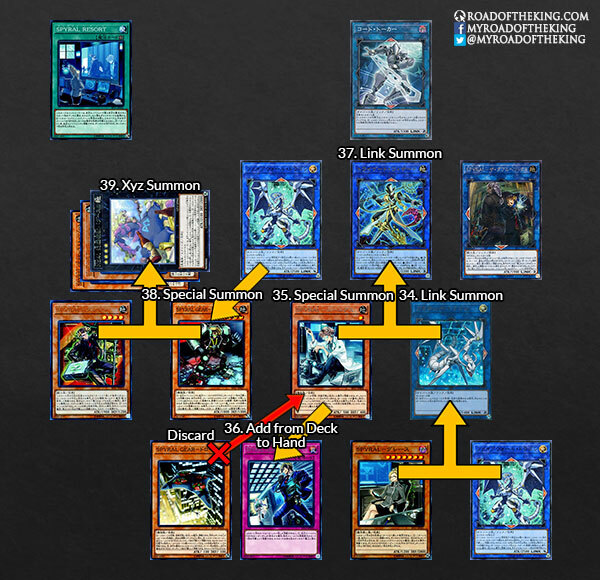 Using SPYRAL GEAR – Drone, Link Summon Linkuriboh in the Right Extra Monster Zone (above Firewall Dragon). 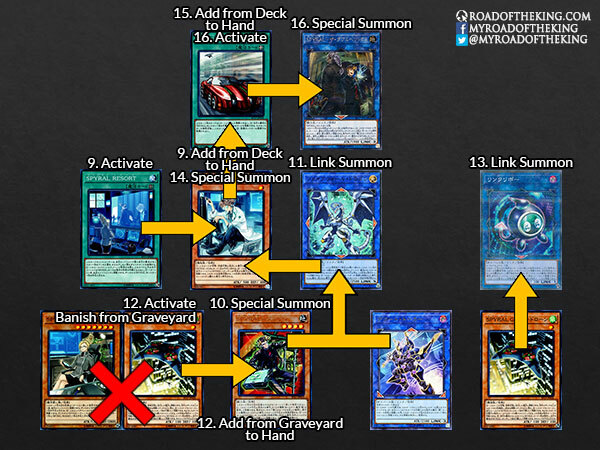 As SPYRAL GEAR – Drone that Firewall Dragon was pointing to was sent to the graveyard, trigger the (2)nd effect of Firewall Dragon, and then Chain with the (1)st effect of the Firewall Dragon with 3 co-linked in the 4th Main Monster Zone. 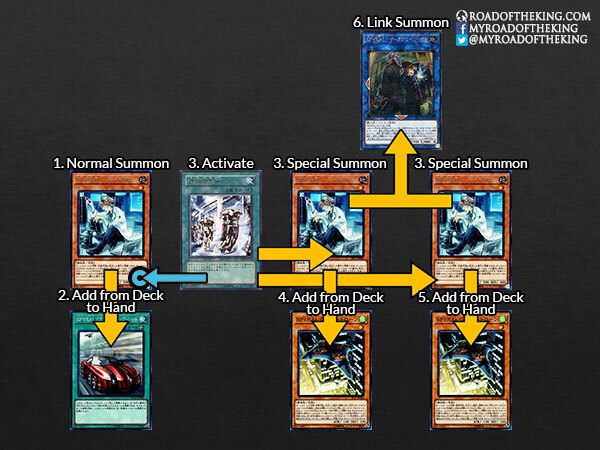 Chain 2: Resolve the (1)st effect of Firewall Dragon with 3 co-linked, add SPYRAL Quik-Fix, SPYRAL GEAR – Drone and SPYRAL Master Plan from graveyard to hand. 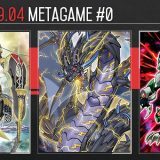 Chain 1: Resolve the effect of Firewall Dragon, Special Summon SPYRAL Quik-Fix from hand in the 2nd Main Monster Zone (left of Firewall Dragon). 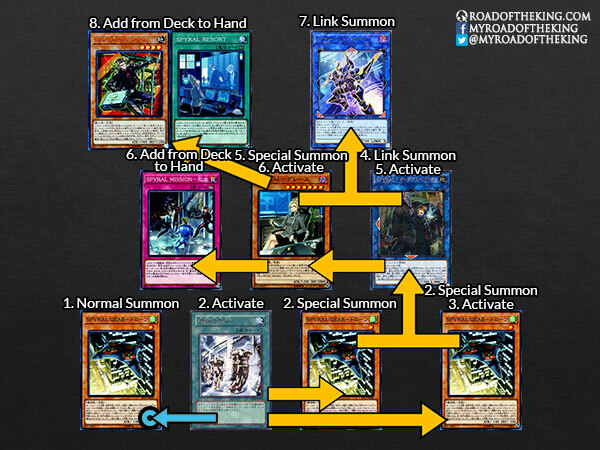 Using Linkuriboh + SPYRAL Quik-Fix, Link Summon Code Talker in the Right Extra Monster Zone (above Firewall Dragon). 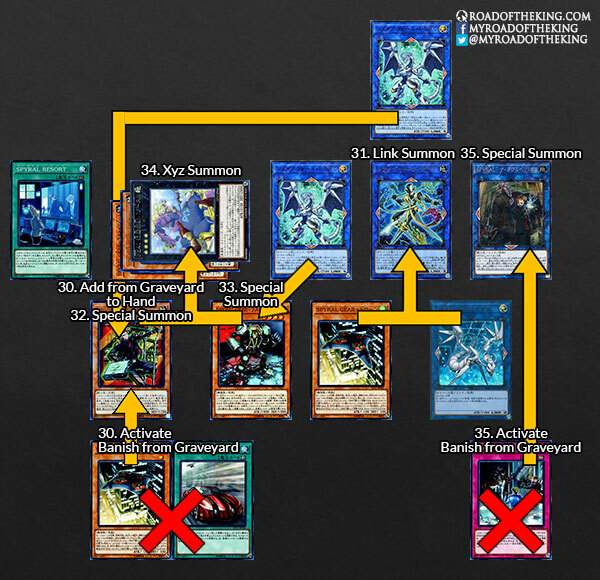 As Linkuriboh and SPYRAL Quik-Fix that each Firewall Dragon was pointing to were sent to the graveyard, trigger the effect of both Firewall Dragons, forming a Chain. 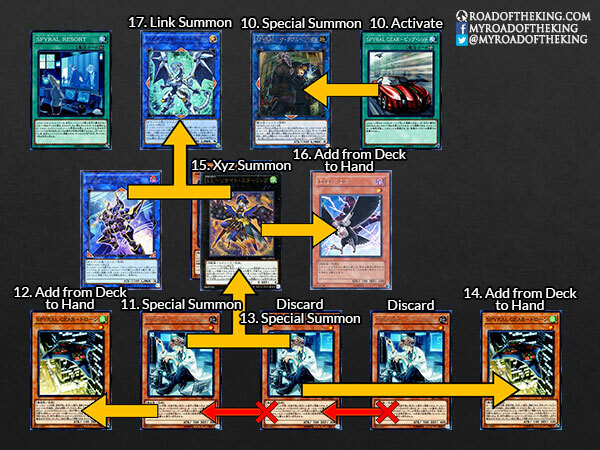 Chain 1: Resolve the effect of Firewall Dragon, Special Summon SPYRAL Master Plan from hand. 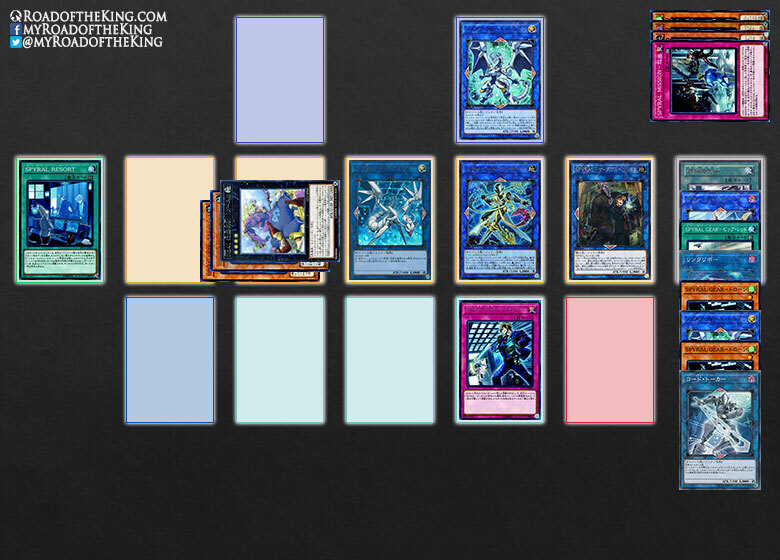 Using SPYRAL Master Plan + Firewall Dragon in the 4th Main Monster Zone (which had used up its (1)st effect), Link Summon Proxy Dragon in the 4th Main Monster Zone (right of Firewall Dragon). 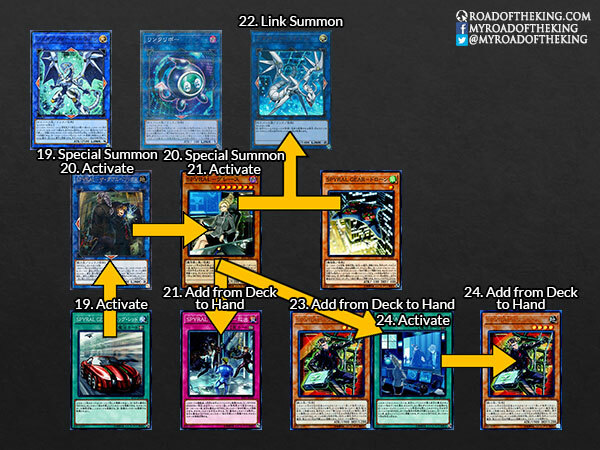 Using SPYRAL Quik-Fix + Proxy Dragon, Link Summon Tri-Gate Wizard in the 4th Main Monster Zone (below of Code Talker). 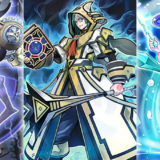 As Proxy Dragon that Firewall Dragon was pointing to was sent to the graveyard, trigger the effect of Firewall Dragon to Special Summon SPYRAL GEAR – Last Resort from hand. This combo requires a bit of luck as the whole premise depends on declaring the correct card type so that SPYRAL Super Agent could Special Summon itself from hand. 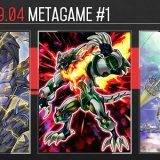 However, since the current OCG 2017.10 metagame is filled with SPYRAL, and the current popular SPYRAL deck builds are playing around 22 – 24 Monster Cards with a Deck Size of 40 – 44, declaring “Monster” would be correct about 50% of the time. When SPYRAL Quik-Fix is successfully summoned, trigger its effects to add SPYRAL GEAR – Big Red from deck to hand. 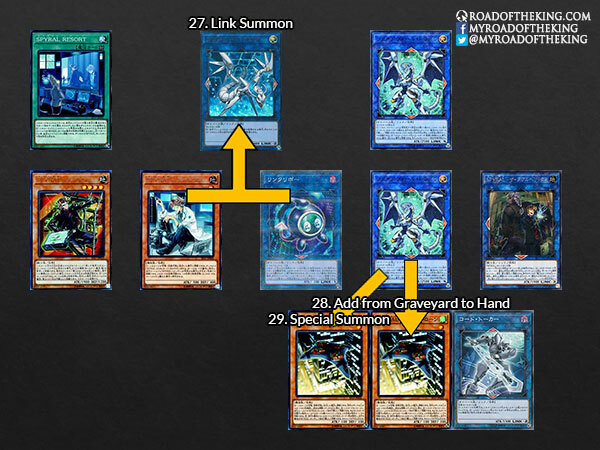 Using SPYRAL Super Agent + SPYRAL Quik-Fix, Link Summon SPYRAL Double Helix in the Right Extra Monster Zone. As SPYRAL Master Plan was sent to the graveyard, trigger its effect to add SPYRAL Resort and SPYRAL Quik-Fix from deck to hand. 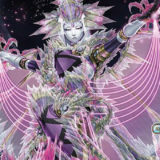 Play and activate SPYRAL GEAR – Big Red, revive SPYRAL Double Helix in the 4th Main Monster Zone (below Decode Talker). Activate the effect of the other SPYRAL Quik-Fix in the graveyard, discard SPYRAL Quik-Fix, and revive itself. Activate the effect of the other SPYRAL Quik-Fix in the graveyard, discard SPYRAL GEAR – Drone, and revive itself. 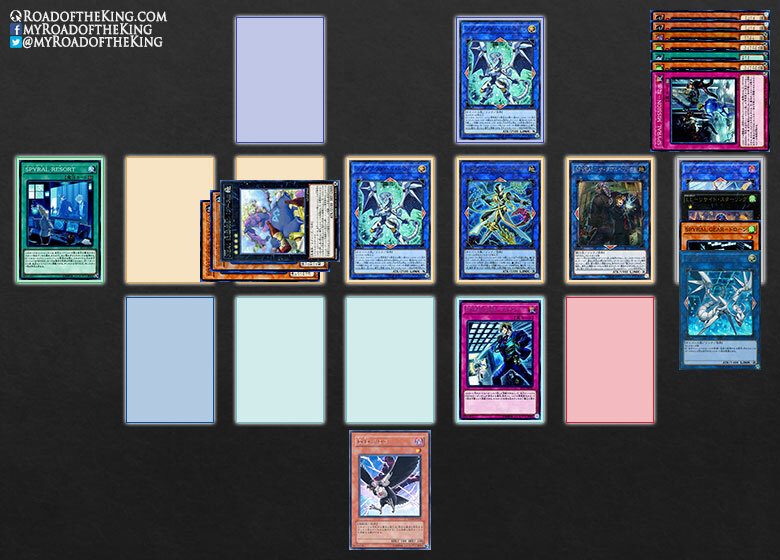 Using SPYRAL Quik-Fix + SPYRAL Quik-Fix + SPYRAL Double Helix, Link Summon Firewall Dragon in the Right Extra Monster Zone. As SPYRAL Double Helix that Firewall Dragon was pointing to was sent to the graveyard, trigger the effect of Firewall Dragon to Special Summon SPYRAL Super Agent from hand in the 2nd Main Monster Zone (left of Firewall Dragon). 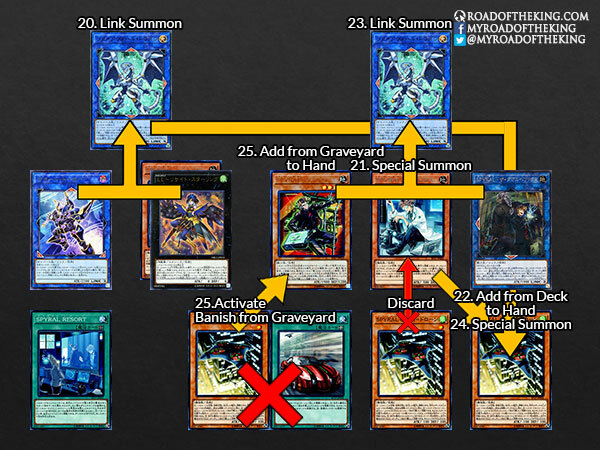 Using SPYRAL Super Agent + SPYRAL Quik-Fix, Link Summon Proxy Dragon in the 4th Main Monster Zone (below Firewall Dragon). 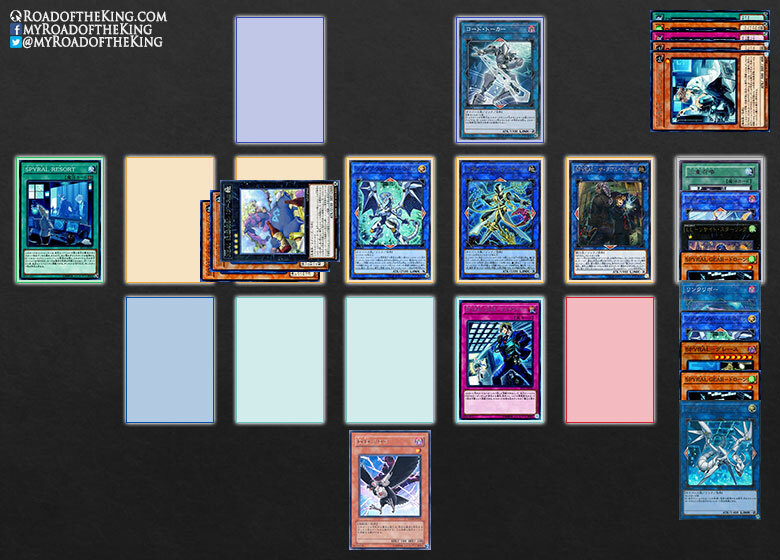 Using SPYRAL GEAR – Drone + Proxy Dragon, Link Summon Tri-Gate Wizard in the 4th Main Monster Zone (below Firewall Dragon). 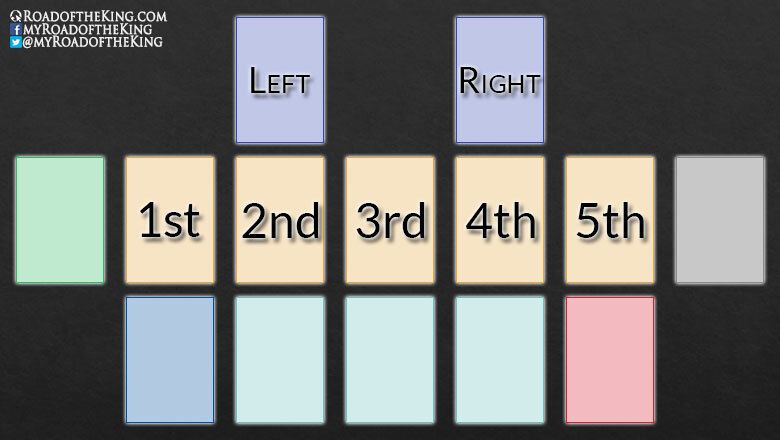 Since this combo is based on luck and has a chance to fail, it is only used when there are no alternative combos. 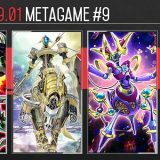 The current SPYRAL deck in OCG 2017.10 is focused on bringing out Number 41: Bagooska the Terribly Tired Tapir, Tri-Gate Wizard and SPYRAL GEAR – Utility Wire to control the opponent’s actions. Additional Firewall Dragons with their (1)st effect available would often seal the game. Even if the opponent was able to break the opening board, which cost only 2 or 3 cards to setup, they would have depleted up most of their resources. That would allow SPYRAL Sleeper to come in for the finisher on the following turn. SPYRAL Sleeper is usually not brought out in the opening setup since its (2)nd effect is a giant vulnerability that creates an opportunity for your opponent to break your board. 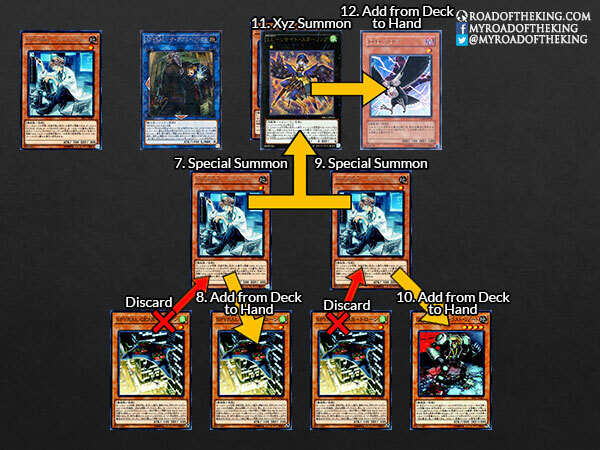 SPYRAL Quik-Fix, SPYRAL GEAR – Drone, SPYRAL Super Agent, Machine Duplication, Double Summon are all unlimited and could be played with 3 copies, so these combos are quite a common occurrence. 3 SPYRAL Resort and 1 Terraforming also contributes to the consistency of opening with the appropriate SPYRAL monster for these combos. Why anyone continues to play Yugioh in it’s current (disgusting) state totally baffles me. I find it fun and exciting. – Kaiju + Dark Hole resistant! Quik Duplication opening with Sleeper, Trigate and extra link. – Double Dark Hole resistant too! Quik Double opening with Sleeper and Trigate. – The Quik Foolish combo. – Better, faster and slimmer Drone Duplication. – Very consistent Main Deck build. The only problem with this is that quik-fix is banished once you use it’s effect to revive itself from the graveyard and they use the effect 5 times so if there another way to achieve this combo then do it right.